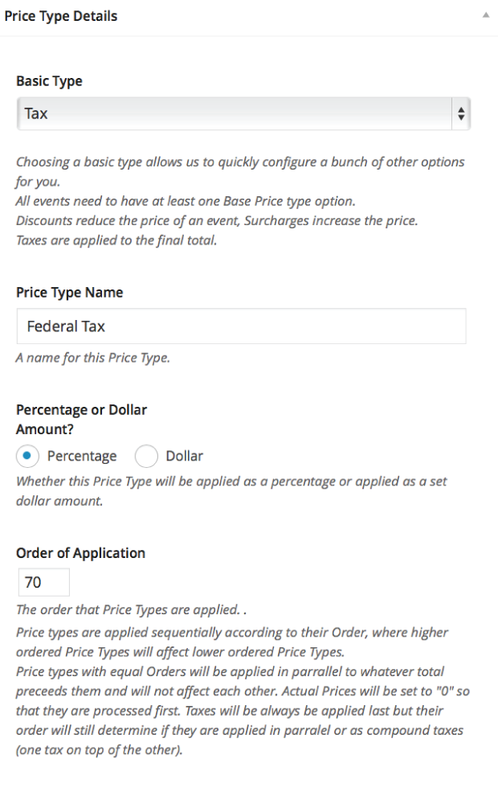 Event administrators can manage taxes globally via the default price types and default prices. Tax fees are also reported to the admin in several ways, and to the attendee during and after checkout. 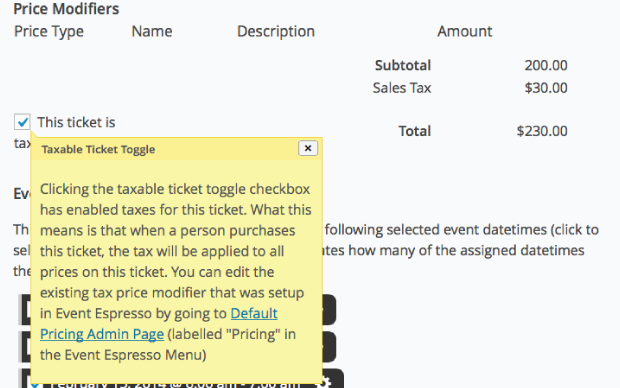 Basic tax types can be named and configured as flat amounts or percentages of the ticket price. Federal and State sales tax types are made available as default price types which can be modified to be renamed (if necessary) and to set the proper tax rate. Administrators can enable taxes to be applied to individual taxes that were previously configured as a default price. 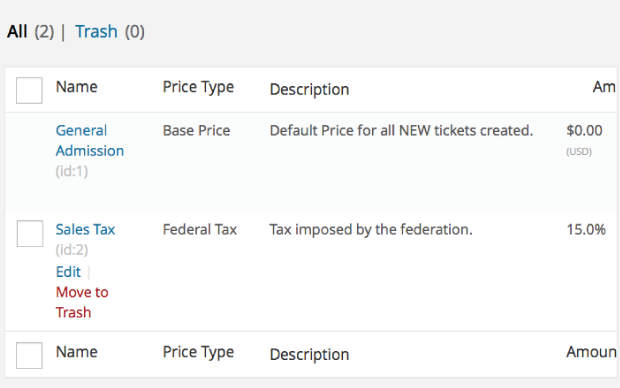 Once the Tax Default Price Type has been configured, specific taxes can be made available to be applied on individual tickets (see Per-ticket Tax Administration). The transaction record details the taxes that were charged for the entire transaction. The registration report details the taxes that were charged for each registration. Taxes are reported to registrants in the ticket details ticket selector, during registration checkout, and in their order confirmation (PDF). The PDF order confirmation also reports the VAT/Tax Number configured in Your Organization Settings. Ticket buyers can read more about a specific ticket which includes the taxes that will be applied to that particular ticket. 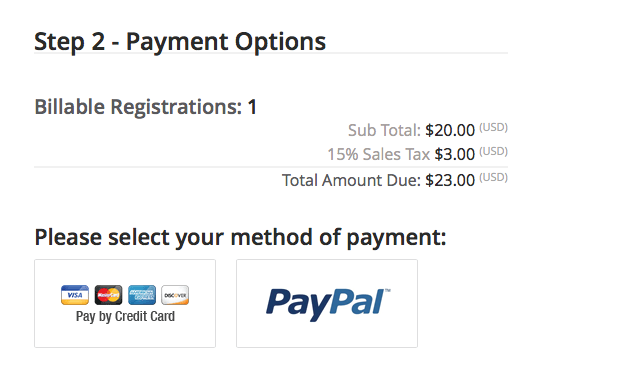 The checkout confirmation (before payment) details the amount and type of taxes that will be applied during payment. The Order Confirmation PDF provides a section that lists the amount of taxes paid for individual types of taxes configured as a default price (above).